Today was a special day for us vegetable lovers. Today saw the arrival of our first produce from the allotment. 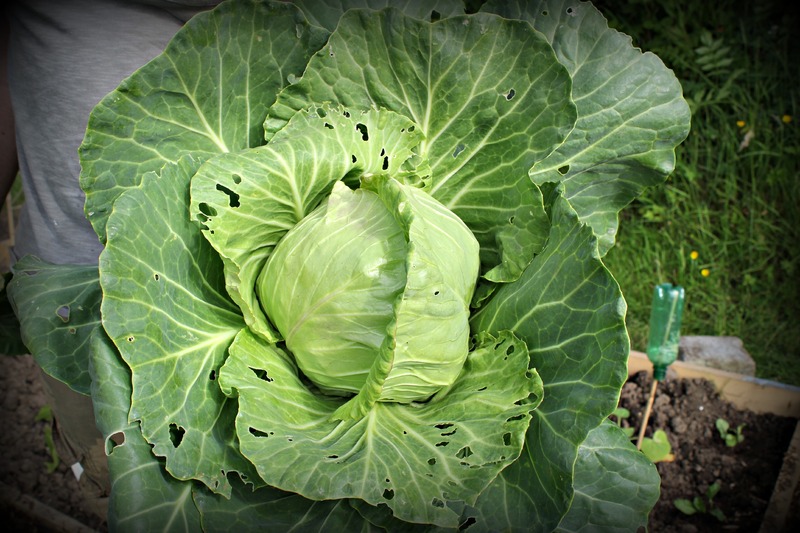 We are now the proud parents of a fine cabbage. He’s a healthy little bairn with plenty of foliage and a very strong heart. At this point we’re not sure what to call it but I can promise we are looking forward to bringing it home and showering it with attention. Joking aside, it proves that with a little time, effort and appreciation for the world of allotmenteering, look what you can achieve. 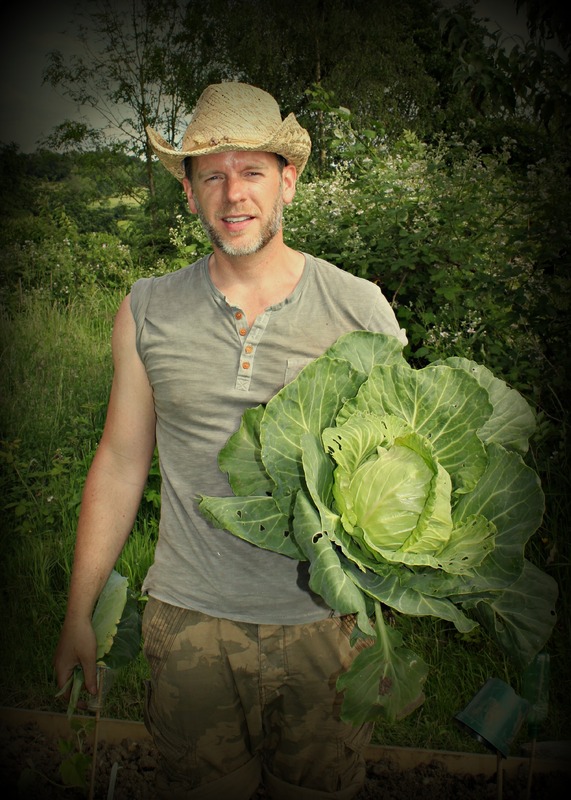 Oh I know there are seasoned gardeners across this green land who wouldn’t give our ‘first’ cabbage the time of day, but to them I say, ‘You’re missing the point’. If something brings you enjoyment, a sense of achievement and acknowledgement that you can work with nature then I think we’re the ones that have got it right. 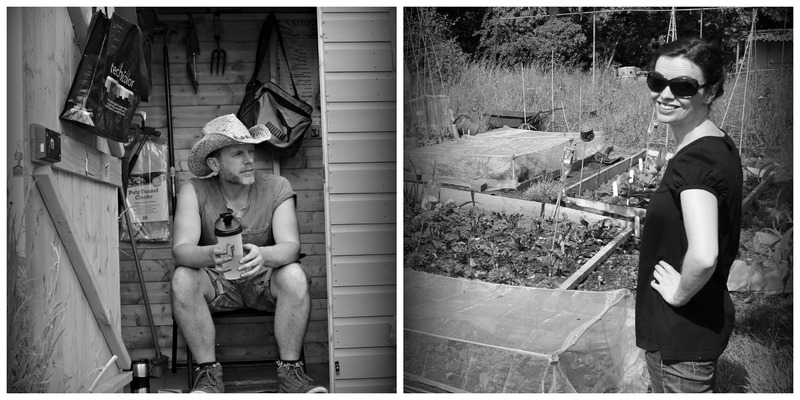 So, here’s a little photographic update of where the allotment’s at. And of course the happy gardeners..
‘Triumph’ it is! Glad we’re not the only ones that feel the same about our veg.